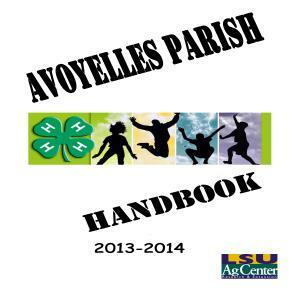 This booklet was complied as an aid you in your job as a 4-H volunteer. The information will be beneficial to both new and experienced volunteers. This guide will help to make this 4-H year a very positive experience for both you and your 4-H members.